Successful projects have one thing in common. They are all examples of downhill triangles. To understand the downhill triangle, let us first define the uphill triangle. What is an uphill triangle? 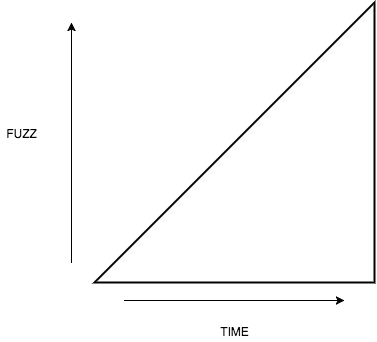 Two closely related things in project health are time and – what I like to call – level of fuzz. It is important to understand the latter very well. 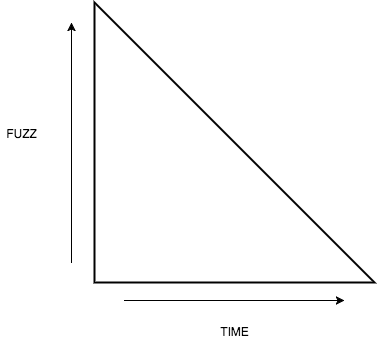 It is common that the level of fuzz only increases towards the end. This is perfectly human and is strongly related to procrastination. Crisis meetings, putting everyone (important) around the table, tend to occur towards the end of a project. “Why should we get around the table if we are going only online in 8 weeks?” is more common than “Hey, we still have a lot of time, but let’s get together to focus on stuff we are maybe missing?” Due to an incline in work and pressure, people even go in a perpetual crisis management state of mind, where they only act when it is (almost) too late. However, this uphill triangle behavior can be disastrous for your project. When detected early, potential issues can be addressed and solved. When detected late, issues become large and push your project into instant crisis mode. Which is something you want to avoid. But your projects don’t necesarrily have to end with stress and fuzz. You can also make your projects land smoothly, but this implies you apply mechanisms to reverse your uphill triangle. A downhill triangle project is the exact opposite. Your whole team is committed to as much communication, fuzz, action or vigilance needed from the start. Important: this doesn’t mean you have to set everything scope related in stone from the start. On the contrary, you focus on defining the horizons of your project from the start, narrowing it down towards the end, instead of an exploding scope (scope creep) in the last couple of days. The downhill triangle is not about making contracts from the start. It is about aligning commitment, about setting common goals early on, about a cultural behavior in your organisation. It is about evolving from a “push” state of mind to a “pull” state of mind. Instead of waiting until an issue comes to you, you actively seek potential threats to your project as a team, as early on as possible. When you do this as a team, the magic happens. Suddenly your projects will finish on time or even early, with only minor defects, and – more important – without stress and fuzz. It even feels a bit awkward, because you are addicted to the levels of adrenaline caused by uphill triangles. But how do you switch your project, your team or your organization from uphill to downhill triangles? The first difficulty is that subsequential projects and their triangles heavily influence each other. If you are finishing a project with a lot of fuzz or stress, chances are rather minimal that you are committed or vigilant about the next project in the pipeline. Not only because of the competition for attention between different projects, but also because of quite obvious time restraints. A day still has and will always have only 24 hours. One uphill triangle will cause a next one. The good news however is, that when you tilt your first triangle with success, it will become a lot easier to tilt the triangles that come afterwards. 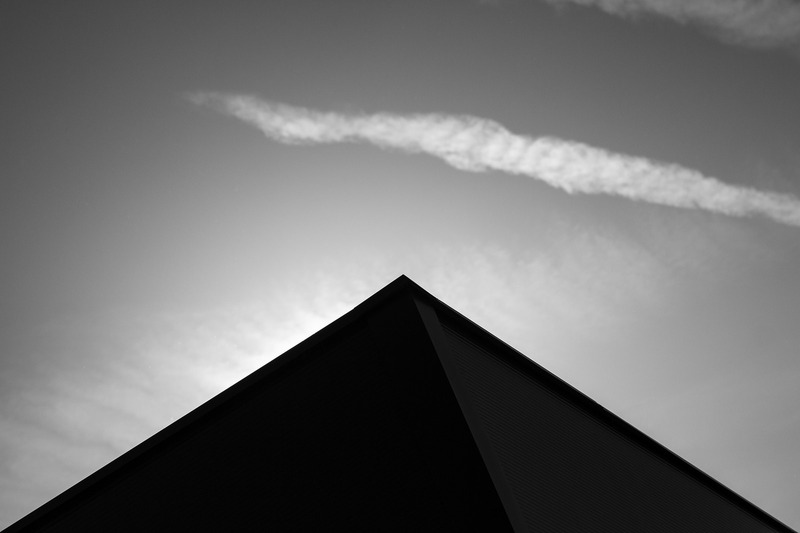 My goal is to write some blog posts with specific “triangle tilting tips”. In the meantime, feel free to agree or disagree in the comments section.